As parents of children who have been injured and killed by vaccines, we can no longer sit passively as the Globe and Mail advocates for the elimination of informed consent and undermines our right to freedom of speech. It is our assumption that the effort to undermine freedom of speech and impose vaccinations by coercion is more than the opinion of writer, Carly Weeks, and is supported at the highest level of the Globe and Mail. It is ironic that whilst the Globe and Mail purports to uphold freedom of speech, it is the very agent that undermines freedom of speech. This letter and the enclosures is the first step in a deliberate effort to engage you personally and make you aware of the impact of current vaccine policies and practices. It is our expectation that armed with this information you will act in ways to safeguard and secure our rights and freedoms rather than erode them. The vaccine industry ought to be able to win the argument for universal vaccination on its own merits without resorting to defamatory tactics to silence those who challenge this ‘one-size-fits-all’ ideology. Vaccine advocates, like Ms. Weeks, seem disinterested in any perspective or fact that doesn’t serve their interests. When one’s view is that constricted it is doubtful their judgment can be trusted. It is undeniable that the current vaccine protocols in Ontario are both coercive and deceptive. Public Health knowingly withhold vaccine exemption information from the public with the aim to increase vaccine compliance and by extension boost pharmaceutical sales. And when these deceptive tactics don’t suffice, they use the Mature Minor Doctrine to vaccinate children without the knowledge or consent of their parents. One wonders why providing information to health consumers on their legal rights and product monograph information would be of concern to the Globe and Mail. A parent can’t decide what is best for oneself and one’s children without adequate information about the benefits and risks. Biased and distorted information that only presents one side is deceptive. Using scare propaganda does not serve the greater good – it only increases mistrust and undermines confidence. Good products, backed by solid evidence of safety and effectiveness, do not require coercion and misrepresentation. The right to voluntary and informed consent is an inherent human right when considering any medical procedure and is a fundamental ethic in medicine. Yet the vaccine policy Ms. Weeks is actively lobbying for represents an all-out assault on this right, and it appears the Globe and Mail is endeavouring to make Canadians compliant with this violation of our liberties. if our rights and freedoms do not survive with them. The Globe and Mail is either knowingly complicit in the elimination of human rights including the right to informed consent, the right to body sovereignty, and the right to free will, or you are uninformed or misinformed of the ability of vaccines to contribute to the systemic harming of our children. This is understandable as there is massive fraud and deception being promulgated by the patent drug industry. The demonstrable truth is that what the vaccine industry, government regulators and mainstream media say science says about vaccine safety and effectiveness and what science actually tells us are two completely different and contradictory things. Included with this letter is a body of information and published scientific research that reveals the current state of vaccine safety. It explains the recognized ability of vaccine ingredients to cause neurological and immunological harm. The undisputed fact is we are experiencing “a failing state of children’s health”. This is not my opinion; rather it is the conclusion of A Report for Children First Canada – August 2018. There is an explosion of allergic/anaphylactic diseases, autoimmune diseases, mental illness, and cancers that now afflict infants and children on a scale never before seen. This is especially evident in the epidemic increase in neurological disorders including autism, learning disabilities, ADHD, and seizure disorders. There is compelling evidence, much of it developed in the last ten years, that the injection of vaccine ingredients is contributing to the significant and permanent injury, even death of our infants and children. The level of public concern with the current vaccination practice has reached a crisis and the amount of scientific evidence of serious injury from vaccine policies and practices is now so compelling, that to continue ignoring it is morally unacceptable, even criminal, and can no longer be tolerated. Needless-to-say, to accelerate the current vaccine practice by eliminating the right of parents to make informed decisions for their children, and to impose the injection of these complex biochemical ingredients with known risks of neuroimmune injuries and autoimmune disorders into healthy individuals would only add to the injuries and deaths of our children. We believe children have a right to be healthy, and that includes those who would be injured by vaccines. The Globe and Mail ought to be insisting that all children have the right to be healthy. It is well past time that the Globe and Mail started doing real investigative journalism on the vaccine issue, and it is well past time that public health officials and the media started taking parents’ concerns seriously. We need an advocate in Canada’s mainstream media who will do real investigative journalism, ask the questions, dig into the new and emerging scientific literature, and demand the kind of accountability that will help safeguard our children. Will the Globe and Mail be this advocate for truth? Will the Globe and Mail hold vaccine manufacturers and our government regulators accountable? Will the Globe and Mail safeguard our basic human right to voluntary, informed consent, and the sovereignty of the human body? Mr. Crawley, you and your editors may choose to look the other way, however, our intention is that you can never again use the defence that you did not know. The future of our children is at risk. What will you do? What will the Globe and Mail do? Hello Mr. Kuntz. The publisher Mr. Crawley has asked me to respond. The Globe and Mail backs its reporter Carly Weeks on her coverage of this issue (she is a reporter and not an opinion writer). The Globe and Mail believes in science based and factual reporting. If you believe there is a significant factual error in what Ms. Weeks has written please let me know. Thank you for your message on behalf of Mr. Crawley. The content of your message suggests that neither Mr. Crawley, nor yourself, bothered to read the letter of February 13, 2019, much less review the considerable information and resources provided to him. If Mr. Crawley had read the letter it was self-evident that the letter was not about Ms. Carly Weeks. We have no issue with Ms. Weeks. As you clarified, Ms. Weeks is a “reporter”. Ms. Weeks is simply reporting what she is told to report. The honesty and integrity of Ms. Weeks’ reporting was fully exposed by Del Bigtree on his Highwire episode of February 14, 2019. We have no need to comment further on Ms. Weeks’ capacity or integrity as a reporter. 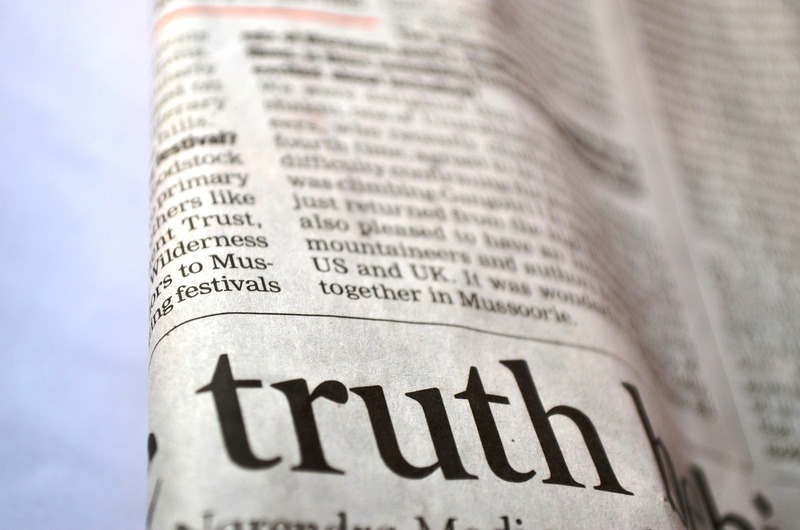 The Globe and Mail has a history of disseminating false, fraudulent, deceptive and distorted information pertaining to the safety, effectiveness and necessity of vaccines. Our assumption has been that the Globe and Mail does this out of ignorance of the current vaccine research. By providing current science-based evidence of the harm being caused by vaccines we address the potential for ignorance. At some point, when the public’s awareness of the massive fraud and harm is more fully known, we expect there will be a holding accountable of those individuals who perpetuated this fraud and caused systemic harm to our children. Unless Mr. Crawley and the Globe and Mail immediately address their role in the fraud and systemic harming of the health of our children, we fully anticipate they will be charged with crimes against humanity. And so they should. The purpose of my letter of February 13, 2109 was to remove any potential defence of ignorance. The impact of autism on our education, medical, social support systems and families is catastrophic. Yet our governments, the medical industry and mainstream media virtually ignore this epidemic. Canada is experiencing an unacceptable level of infant mortality. Canada has a higher rate of infant mortality than some third world countries. All European OECD countries have a lower infant mortality rate than Canada’s. 1 We can no longer afford to ignore this reality or claim ignorance. Researchers have established without any doubt that aluminum adjuvants in vaccines can be transported into the brain and provoke ongoing chronic brain inflammation. With the 2018 vaccination schedule, high quantities of aluminum are injected into an infant’s fragile microenvironment during these highly sensitive early years of brain formation. An infant in Canada can receive more than 7,210 micrograms of aluminum in the first year alone. Vaccines still contain mercury in spite of its known neurotoxicity. Vaccine manufacturers use mercury in the production of whooping cough, tetanus, meningococcal and Hepatitis B, and as a preservative in multi-dose vials of the influenza vaccine. Mercury is the most toxic substance known that is not radioactive. Additionally, mercury and aluminum work synergistically such that their impact is significantly greater when given close together. Both of these neurotoxins are known to cause permanent neurological damage in humans. No clinical studies have been conducted to establish the safety of injecting aluminum adjuvants into infants and children. To continue to inject our fetuses, children and adults with mercury and aluminum is immoral and needs to stop. any evidence of the slightest attempt to investigate them. Of great concern is that vaccines are not studied against a neutral placebo. Most vaccine safety trials use control groups consisting of other vaccinated populations or placebos containing aluminum, formaldehyde, polysorbate 80, MSG, and other vaccine ingredients. These are not true placebos. Vaccine safety trials that are conducted without a neutral placebo cannot determine if a product is safe. None of the vaccines on the current childhood vaccination schedules were tested against a neutral placebo. The failure of the vaccine industry to use a neutral placebo undermines the integrity of health agency claims that vaccines have been proven safe and effective. It is dishonest to make the claim that the immunization program “has been developed using the best scientific evidence available . . . and overwhelming scientific evidence shows the safety and effectiveness of immunizations”. 9 There is persistent criticism in the scientific literature that the methodology to “safety test” vaccines is carefully calculated to not show safety issues. Vaccines have not been tested for the ability to cause cancer (carcinogenicity); the ability to damage an organism (toxicity); the ability to damage genetic information within a cell (genotoxicity); the ability to change the genetic information of an organism (mutagenicity); the ability to impair fertility; and for long-term adverse reactions. This is clearly stated in the vaccine product information inserts. For a vaccine to be administered without adequate safety testing is nothing short of medical malpractice. Until large, long term vaccinated vs. unvaccinated research is conducted, any claims of vaccine safety and effectiveness is an assumption and not scientifically proven. Further, many pre-licensure trials do not include patient populations most at risk of serious adverse events. This is not responsible science. In fact, this is not science. Middle and long-term studies on efficiency and safety, not ‘days’. Canada’s citizens deserve no less of a standard of over sight. Justice Sotomayor and Justice Ginsburg, in their dissent of the 2011 Supreme Court ruling (RUSSELL BRUESEWITZ, ET AL., PETITIONERS v. WYETH LLC, FKA WYETH, INC., FKA WYETH LABORATORIES, ET AL. ), correctly pointed out that vaccines free from liability give no reason for vaccine makers to improve design, to mind how they are distributed, or to even keep up with basic or emerging science. The vaccine products our children receive today are “liability free vaccines”. These vaccines are a fundamentally different product line, subject to minimal oversight, and vaccine makers have no legal or financial impetus to design them well or even manufacture them cleanly. We all ought to be philosophically opposed to our children receiving ‘liability free’ vaccine products. It was recently revealed as a result of a Federal court subpoena that Health and Human Services (HHS) in the United States failed to provide even one bi-annual safety report to Congress as was required under the 1986 National Childhood Vaccine Injury Act that gave legal immunity to vaccine manufacturers. This legal immunity was not designed to protect citizens. It was designed to protect the pharmaceutical industry. A further recent development is the disclosure by Robert F. Kennedy Jr. with Children’s Health Defense that Department of Justice lawyers representing the Department of Health and Human Services (HHS) involved in the 2007 Omnibus Autism Proceedings committed fraud and obstruction of justice. 14 These actions led to a denial of justice and compensation for over 5,500 families who filed claims for vaccine induced brain injuries resulting in an autism diagnosis. The fraud by the two DOJ attorneys directly influenced the 2011 Bruesewitz v. Wyeth Supreme Court decision, which prevented families seeking redress for vaccine injury in the civil court system. Since this miscarriage of justice, roughly one million children have been diagnosed with autism in the US. Canada’s vaccine policy has largely mirrored the recommendations by the Centre for Disease Control in the United States. In 2014, senior CDC scientist Dr. William Thompson revealed the Centre for Disease Control fraudulently withheld research data with the express intention of misleading the public about the vaccine-autism link. Dr. Thompson has released more than 200,000 pages of documents to support his claim. We rely on government to ensure that vaccines are safe and assume that federal and provincial licensing and regulation are reliable assurances that the vaccines we receive are effective and safe. It is evident that protecting the reputation of vaccines is more important to health officials than ensuring the products are safe. It appears that our mission is being influenced and shaped by outside parties and rogue interests… and Congressional intent for our agency is being circumvented by some of our leaders. What concerns us most is that it is becoming the norm and not the rare exception. We are often directed to do things we know are not right. These questionable and unethical practices threaten to undermine our credibility and reputation as a trusted leader in public health. Dr. Gotzsche is not alone in his claim that the drug industry has bought doctors, academics, journals, professional and patient organizations, university departments, journalists, regulators, and politicians. This co-opting and corrupting of science, regulatory agencies, media, doctors, and politicians must end. 2 Why Do Pediatricians Deny The Obvious? 15 The CDC Is Being Influenced By Corporate and Political Interests. 18 Evidence of Increase in Mortality After the Introduction of Diphtheria-Tetanus-Pertussis Vaccine to Children Aged 6-35 Months in Guinea-Bissau: A Time for Reflection?